Ski season is here! Our motto at VCM is “get in shape for your sport, rather than using your sport to get in shape”. This is a powerful mantra to prevent injuries and get the most enjoyment out of your day on the slopes. Susie is our resident competitive skier and licensed Physical Therapist Assistant featured in these recommended exercises. Susie can help you stay strong, stay in control and have fun on the slopes! Famous Japanese Dr. Tanaka first developed an electronic negative ion producing medical treatment device and is the very technology used in the Biomat. This proved to be a very convenient way of supplying the necessary amount of negative ions for our body without having to depend on those we receive from the air. The absorption rate is only 15-20%. For example, in a hot spring which usually has a high negative ion density of 2000, the absorbed negative ions would only be 300 to 400. In addition, this device can provide the necessary negative ions needed in a short period of time. In doing this, Dr. Tanaka discovered that it helped control the autonomic nervous system that controls the secretion of hormones that regulate the human body. It not only helps this system keep balance, but the sympathetic nervous system as well. Dr. Tanaka also discovered that his device helped the vitalization of cell metabolism. The Biomat incorporates Dr. Tanaka’s research and device into the biomat. Once they reach our blood stream negative Ions have a positive effect on the rate at which serotonin is oxidized in the bloodstream, resulting in higher alertness, decreased drowsiness, and more mental energy. The amethyst crystals incorporated into the structure of the bio mat are natures superconductors. They serve to more aggressively capture and transfer infrared waves and and negative ions to the individual using it. Cupping is an ancient technique used in many cultures, in which a special cup is applied to the skin and held in place by suction. The suction draws superficial tissue into the cup, which may either be left in place or moved along the body. Cupping brings fresh blood to the area and helps improve circulation. Traditional cupping, sometimes referred to as “fire cupping,” uses heat to create a vacuum-like suction inside of glass cups. In modern times, cups that use a small pump to create suction have also been introduced. Generally, cupping is combined with acupuncture in one treatment, but it can also be used alone. 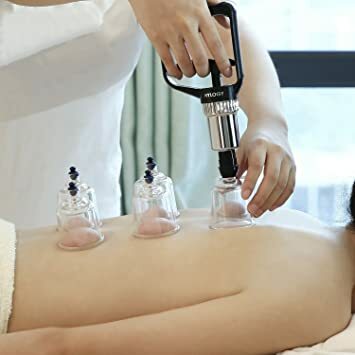 The suction and negative pressure provided by cupping can loosen muscles, encourage blood flow, and sedate the nervous system(which makes it an excellent treatment for high blood pressure). Cupping is used to relieve back and neck pains, stiff muscles, anxiety, fatigue, migraines, rheumatism, and even cellulite. Moxibustion is an important therapy in Traditional Chinese Medicine, along with acupuncture, herbal medicine, and dietary therapy. Also called ‘moxa’ for short, the therapy involves the burning of dried mugwort (artemesiae Vulgaris, or ai ye in Chinese). Mugwort, in both Eastern and Western medicine, is believed to have the properties that help increase blood circulation and promote the ability for the body to heal itself. Moxa can be applied to inserted needles to provide a warming effect to help with muscle and soft tissue injuries and to improve healing to joints. Moxa can also be applied directly to the skin in the shape of small cones or rice grains. Therapeutic ultrasound is a treatment commonly used in physical therapy. It is used to provide deep heating to soft tissues in the body. These tissues include muscles, tendons, joints, and ligaments. Ultrasound in physical therapy is not to be confused with diagnostic ultrasound, which is an ultrasound that is used to see the inside of the body, such as checking on a fetus during pregnancy. Deep heating tendons, muscles or ligaments increases circulation to those tissues, which is thought to help the healing process. Increasing tissue temperature with ultrasound is also used to help decrease pain. Deep heating can be used to increase the “stretchiness” of muscles and tendons that may be tight. Non-thermal effects of ultrasound allow energy to be introduced into the body. This energy causes microscopic gas bubbles around your tissues to expand and contract rapidly, a process called cavitation. It is theorized that the expansion and contraction of these bubbles help speed cellular processes and improves healing of injured tissue. Two types of cavitation include stable and unstable cavitation. Stable cavitation is desired when your physical therapist is applying ultrasound to your body. Unstable cavitation can be dangerous to your body’s tissues, and your physical therapist will ensure that this does not occur during the application of ultrasound. Ion detox foot bath, fact or myth? The color in ion foot baths is not changed from toxins coming out from your feet, analyzing these colors will not necessarily derive any conclusions. So don’t be fooled by the infomercials, all the debri and gross colored water, which could also be from the corrosion of the device itself after some use. The actual reason for the waters change in color is the reaction of already present compounds in the tap water you put in the bath with the salt that you add. Now you’re probably wondering what the point is then, and if it is actually effective. Even though you cannot necessarily diagnose a patient by the color of the water, that does not mean the ion bath is not benefiting you in anyway. When looking for the benefits of the ion bath you need to directly observe the body and not the water. The main benefit of these baths is to “alkaline” the body, meaning to push the pH levels to a base line. Scientific analysis have been done on the urine of patients before and after a 30 minute treatment. They concluded that the negative ions produced in the bath do significantly lower the pH levels in the body, and the results can be seen for up to 48 hours. An alkaline body is crucial to a person’s health. Diseases thrive in an acidic environment. So basically, the less acidic your body is and the more alkaline, the less prone you are to contracting a disease. What we put into our body, such as the foods we consume, have either acidic or alkalizing properties. The more of the higher alkaline foods you can incorporate into your diet the better. An ionic detox, helps to facilitate the alkalization process through the process of ionization, which removes “free radicals” from the body. Don’t go by the name, there is nothing negative or unhealthy about negative ions. Negative ions are beneficial for the human body while positive ions are harmful. In fact, you will find the highest concentrations of negative ions in natural, clean air. Ions are invisible charged particles in the air – either molecules or atoms, which bear an electric charge. Some particles are positively charged and some are negatively charged. To put it simply, positive ions are molecules that have lost one or more electrons whereas negative ions are actually oxygen atoms with extra-negatively-charged electrons. Negative ions are abundant in nature, especially around waterfalls, on the ocean surf, at the beach and widespread in mountains and forests. * They neutralize free radicals. * They revitalize cell metabolism. * They enhance immune function. * They purify the blood. * They balance the autonomic nervous system, promoting deep sleep and healthy digestion. The most important benefit of negative ions is that they clear the air of airborne allergens such as pollen, mold spores, bacteria and viruses. Besides they also clear the air of dust, pet dander and cigarette smoke. Negative ions perform this function by attaching themselves to positively charged particles in large numbers and negatively charging those particles. As a result, these viruses, bacteria and pollen spores become too heavy to remain airborne and are thus prevented from entering your breathing passage where they can make you sick. If you want to help a bruise heal more rapidly than it would if left unattended, you can apply a dose of topical Arnica to the affected area. 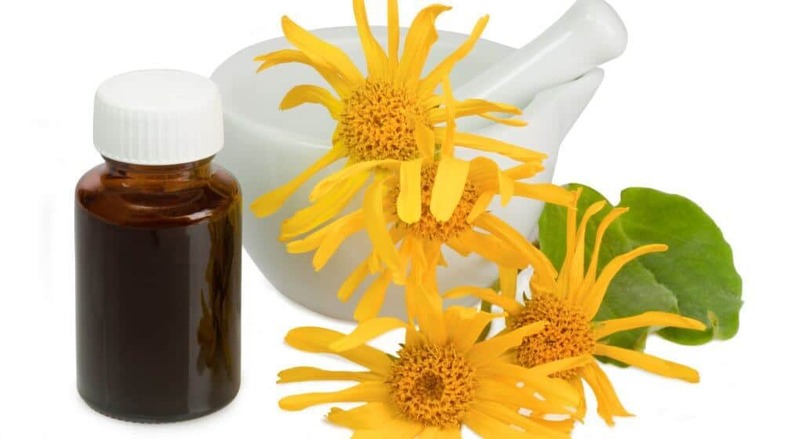 Topical Arnica is usually best for skin bruises; however, homeopathic Arnica tablets can also be helpful. Arnica bruise ointment is available in many forms, including gel, cream, and even in a stick. Arnica is beneficial for a wide variety of minor injuries to the muscles, bones, and connective tissues. If your symptoms include bruising or if your injury is aggravated by movement, then homeopathic Arnica is likely to help. Arnica stimulates your body’s natural healing process, facilitating blood flow through the area, which helps to alleviate pain, reduce swelling, and reabsorb bruising. As long as your skin isn’t broken, you can apply Arnica topically in a cream or gel form. For internal aches and pains, you may see greater benefits if you take homeopathic Arnica in a pill or tablet form.